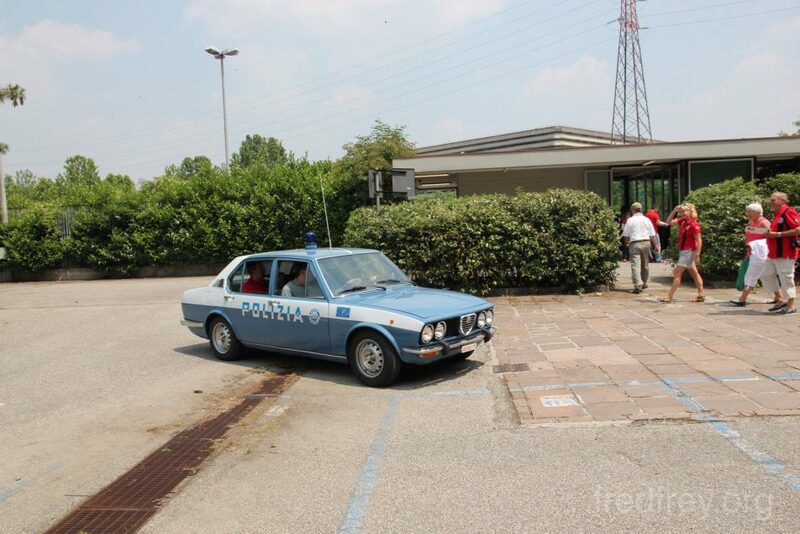 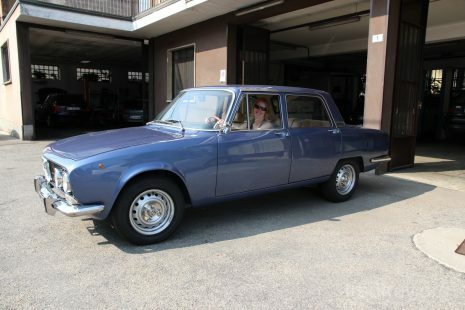 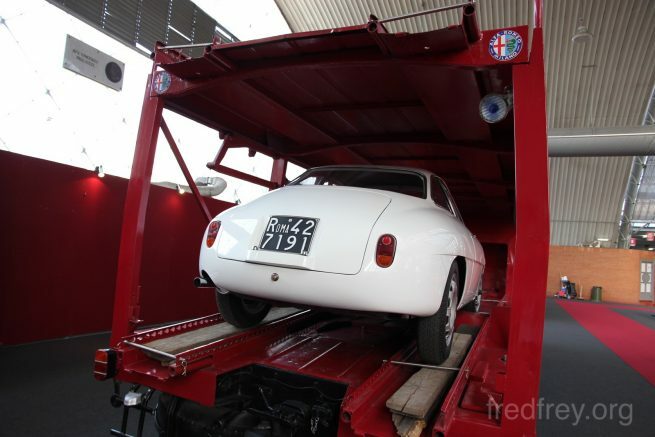 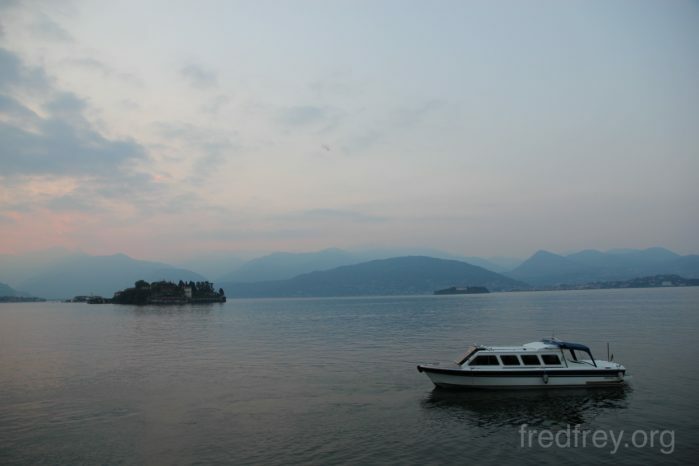 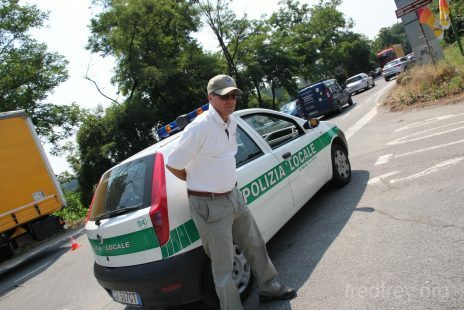 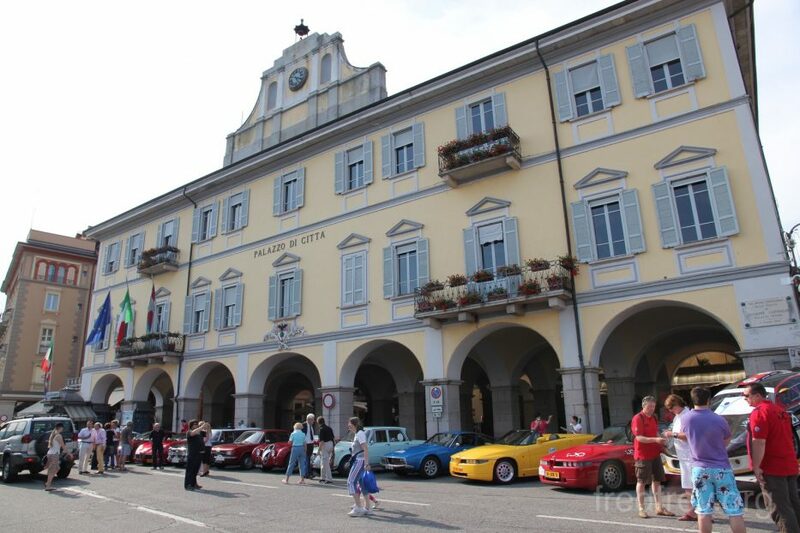 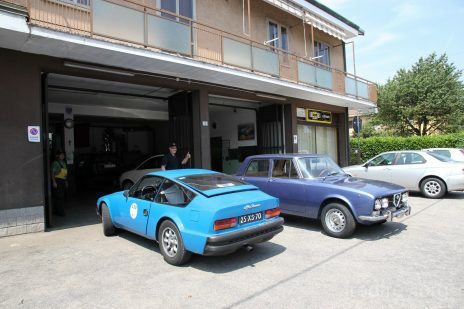 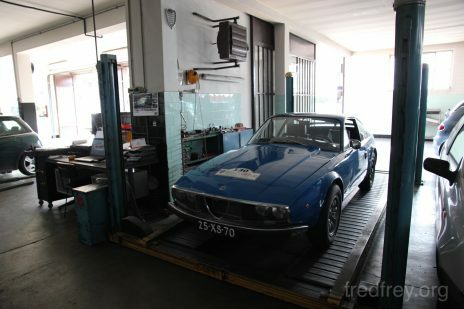 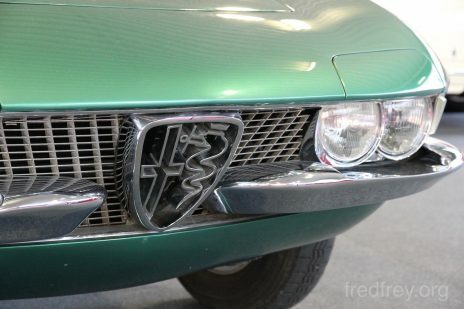 The clutch on the JrZ was not disengaging so I took the car into a local shop in north of Milan. 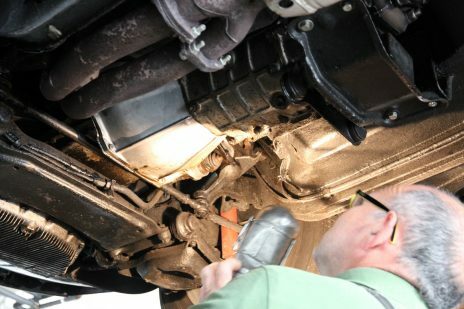 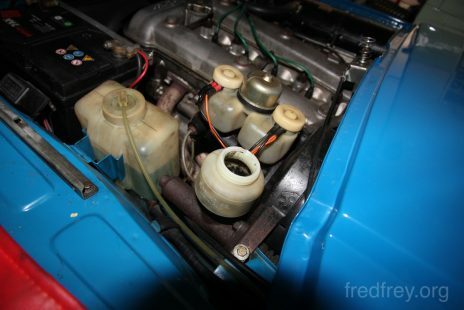 It was discovered that both the master cylinder and slave cylinder needed replacement. 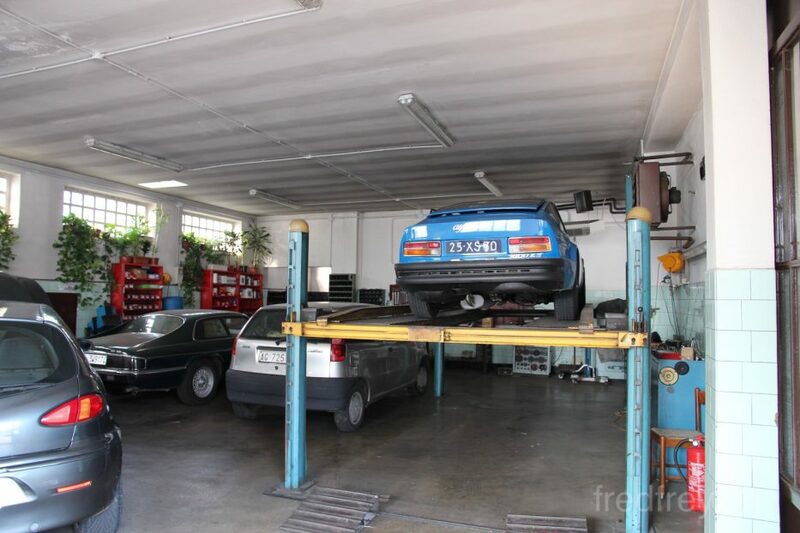 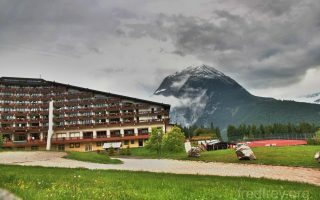 A fantastic shop was recommended to me and the work was done quickly and at a price that could not be beat. 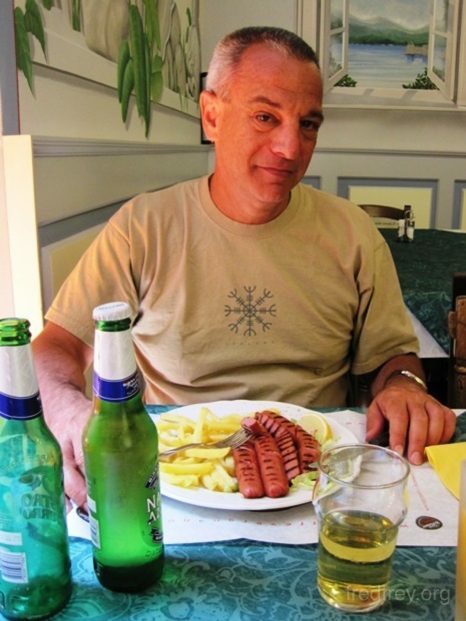 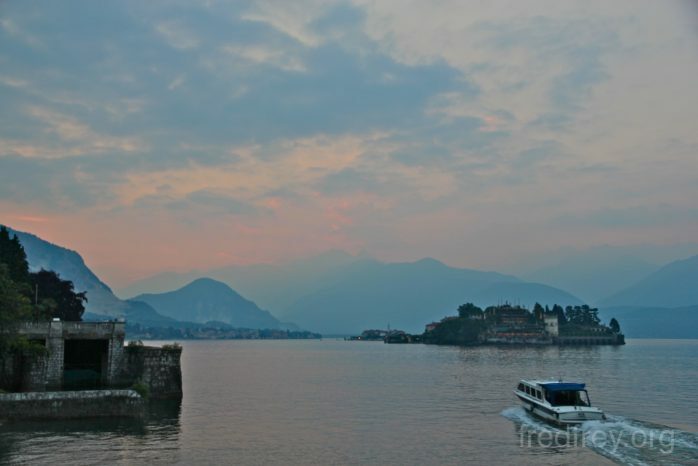 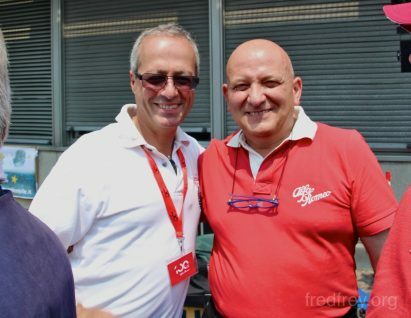 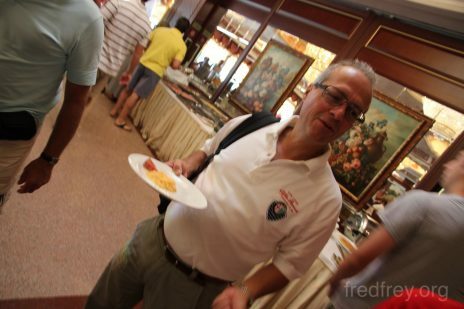 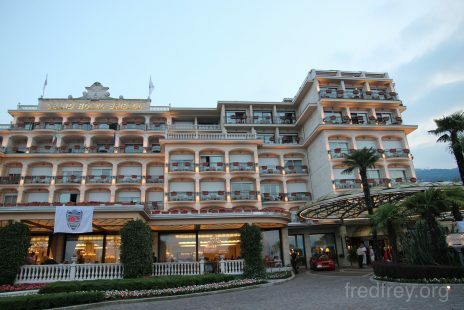 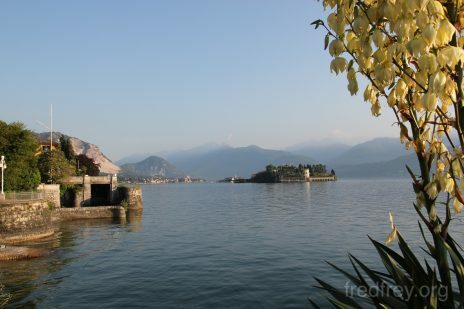 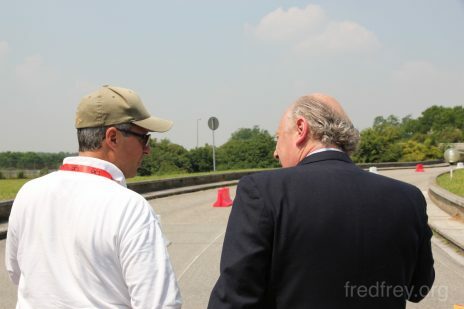 A big thank you to Sergio Biondi at Autoriparazioni. 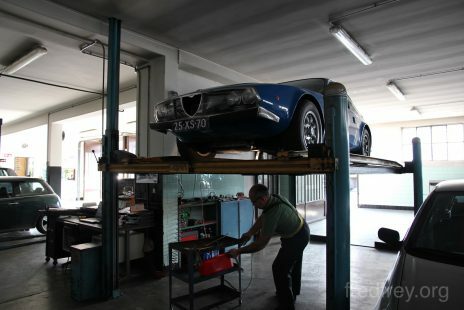 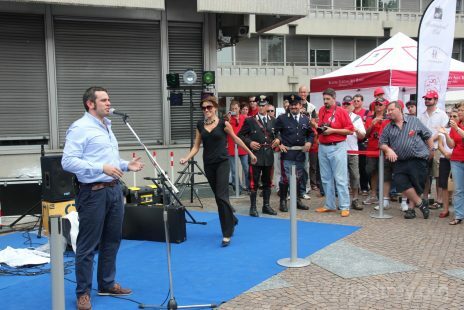 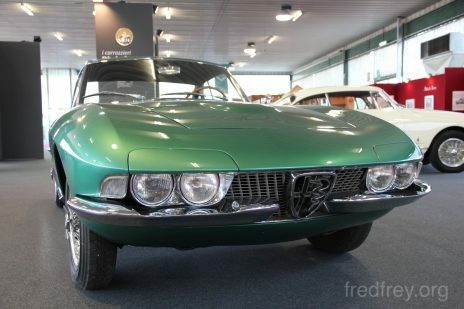 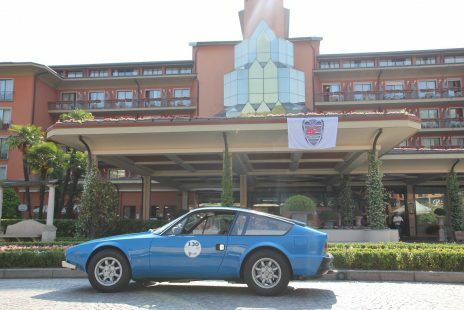 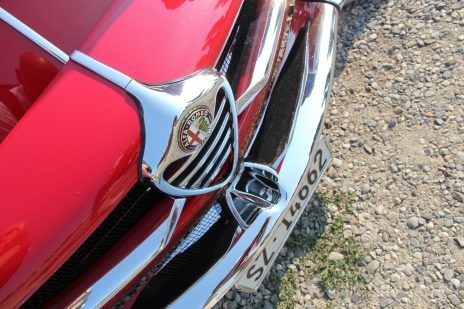 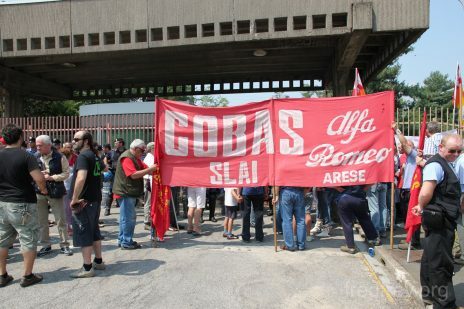 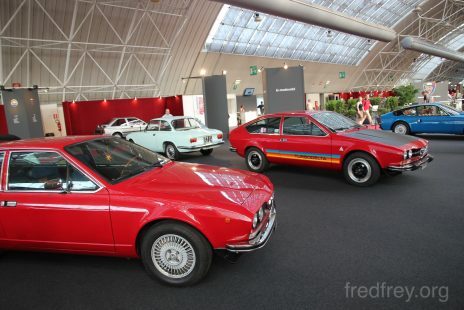 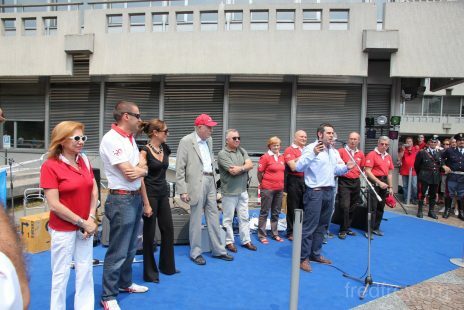 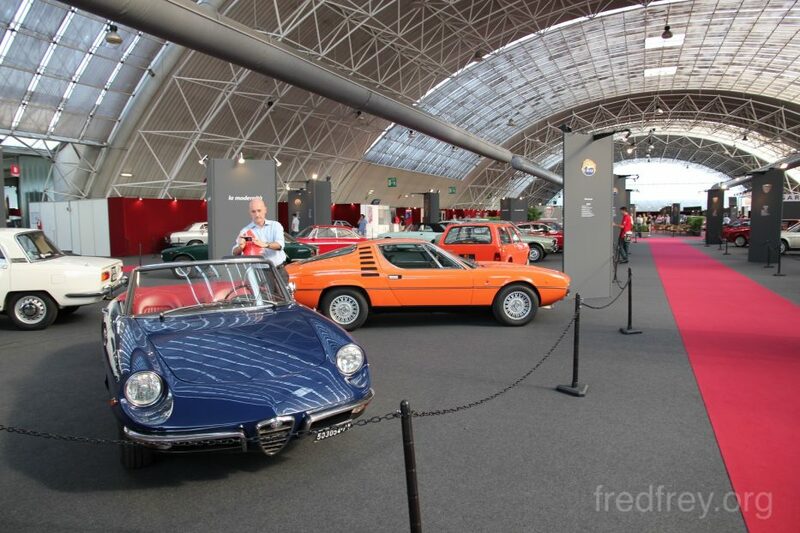 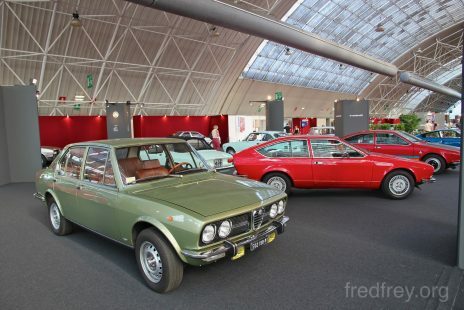 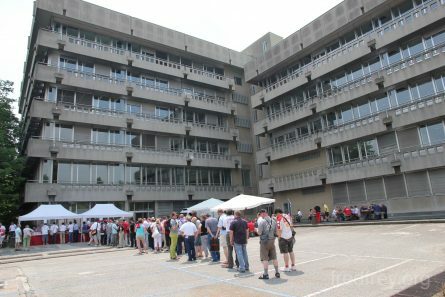 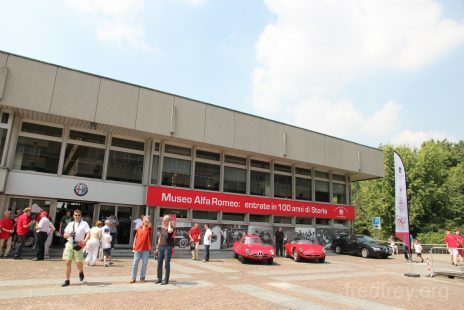 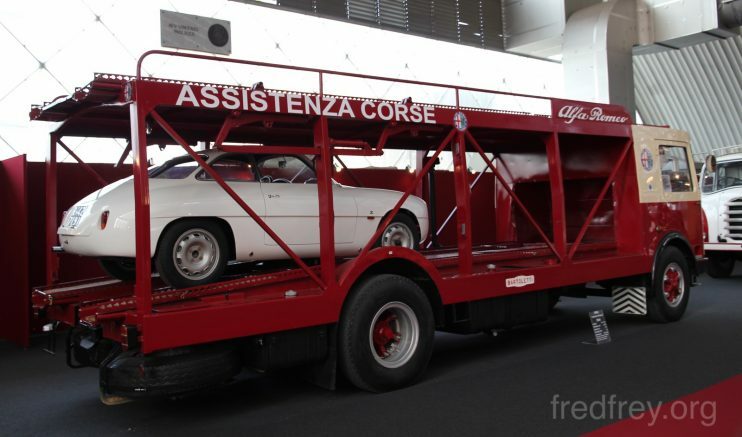 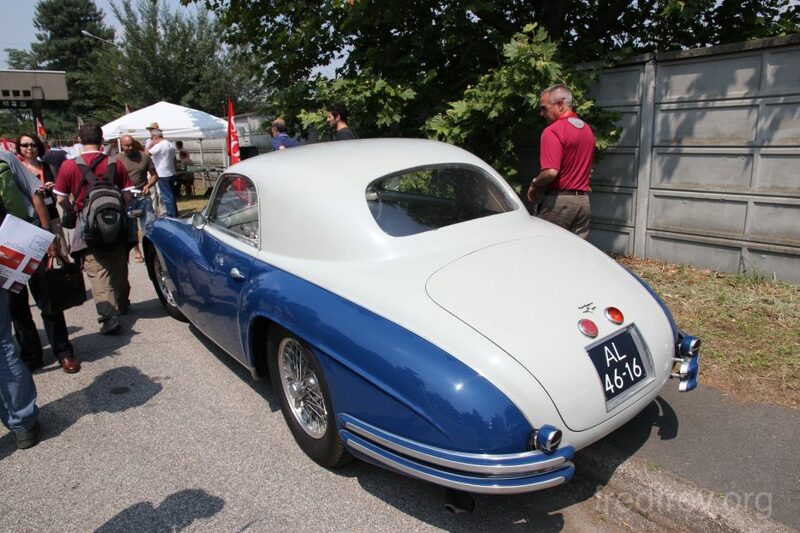 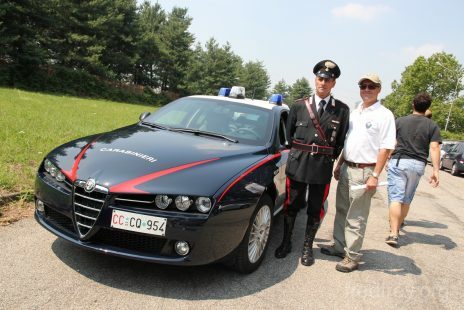 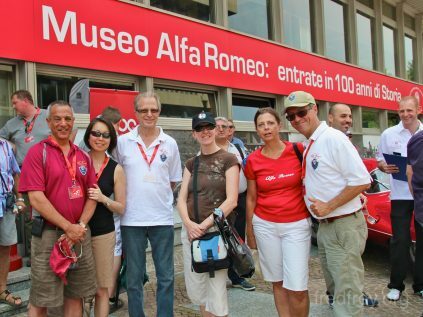 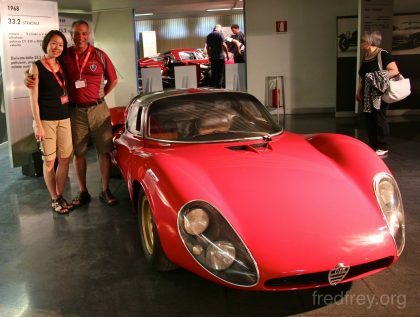 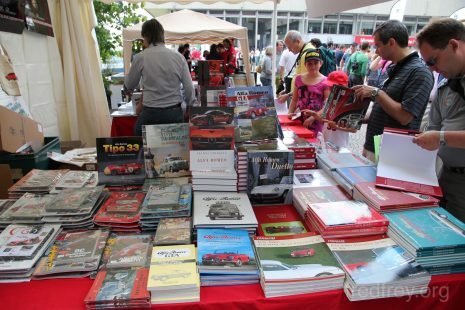 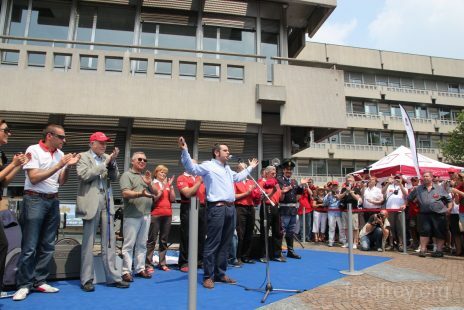 Thursdays big event was the opening of the Alfa Romeo Historic Museum in Arese where the original Alfa factory once stood. 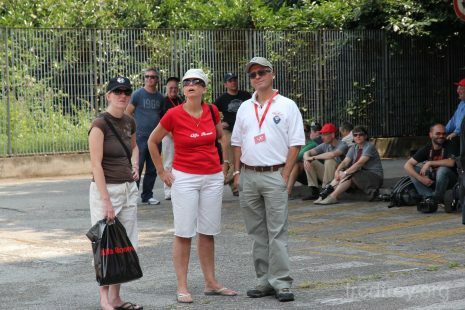 The crowds were enormous and very excited. 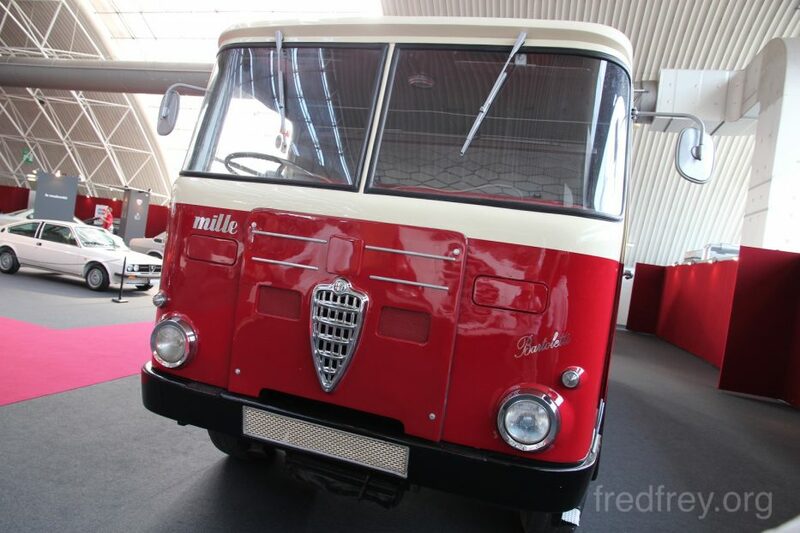 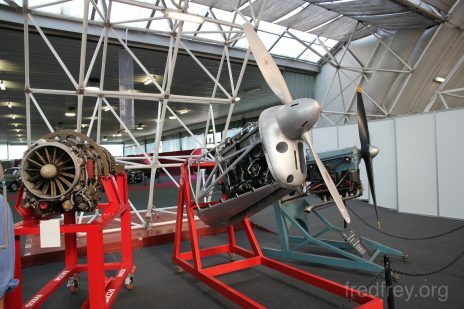 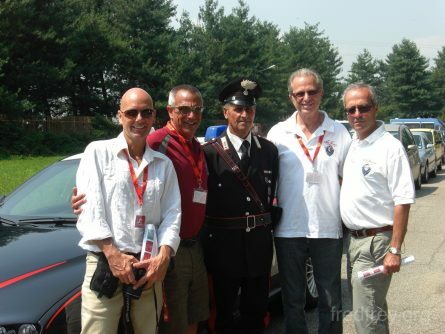 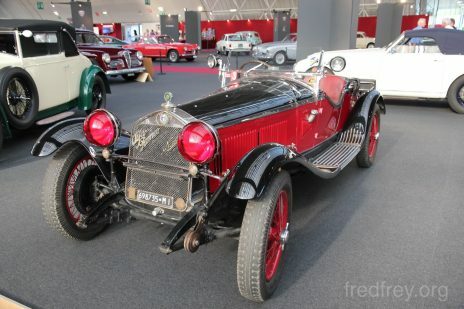 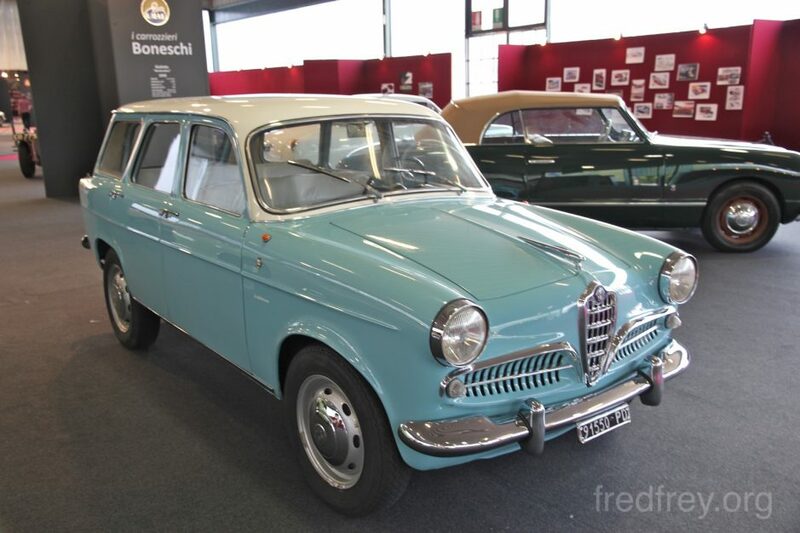 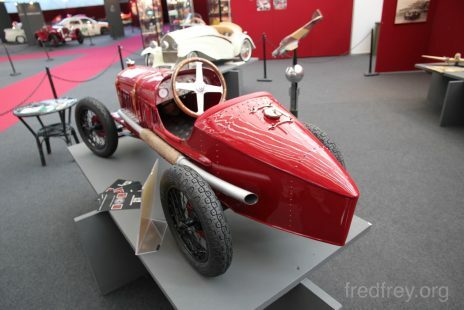 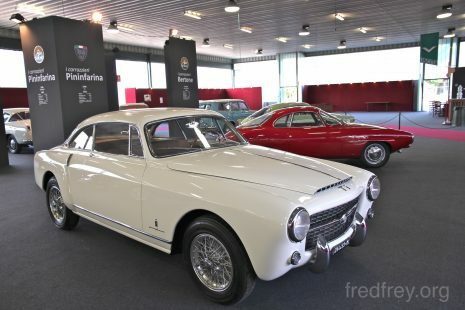 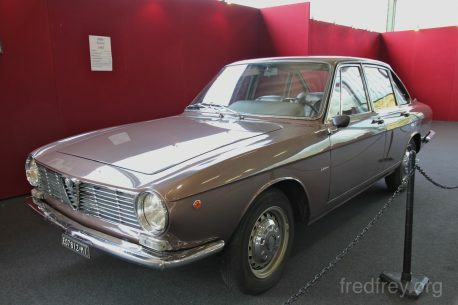 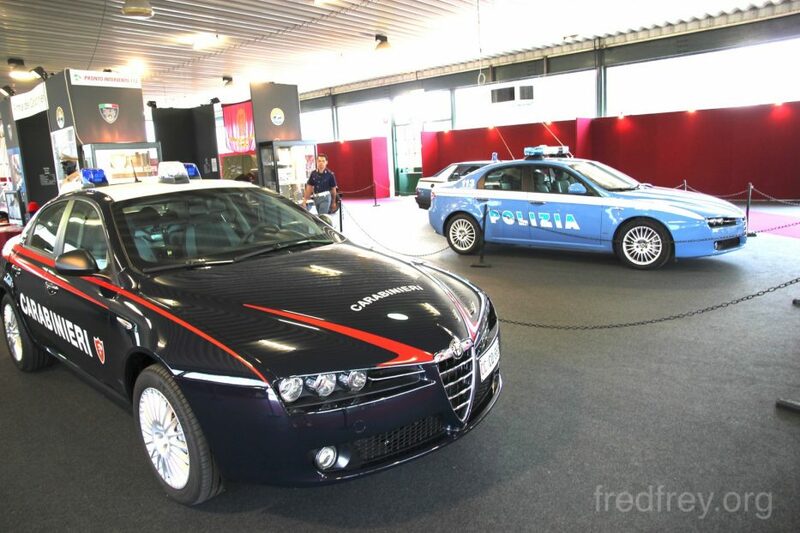 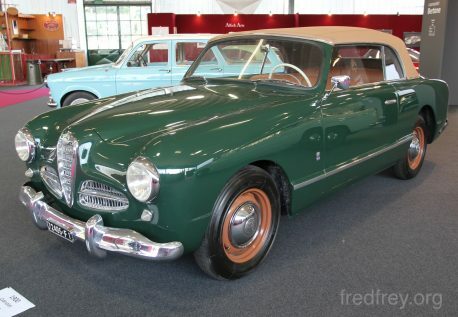 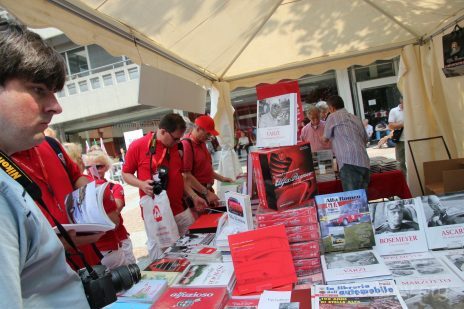 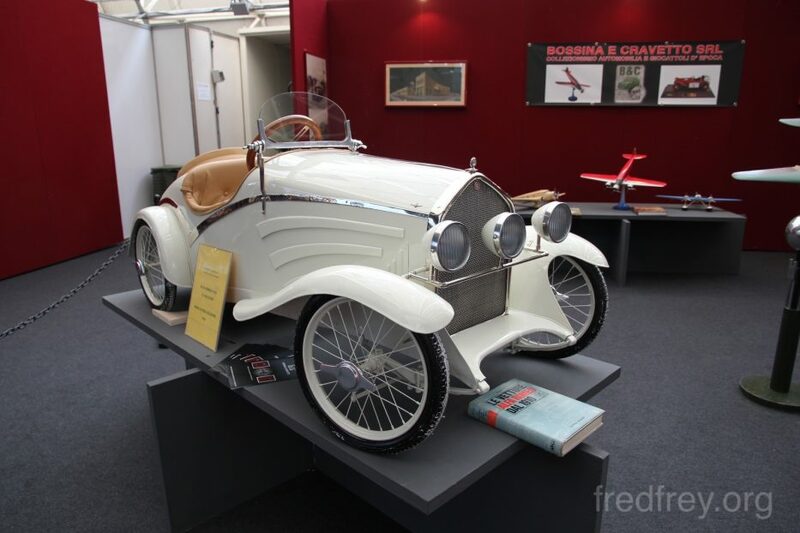 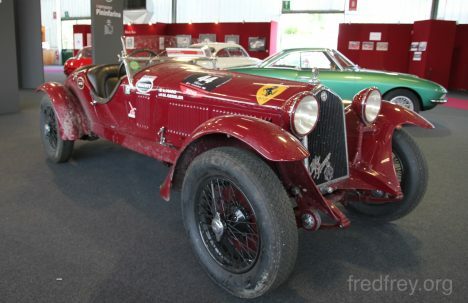 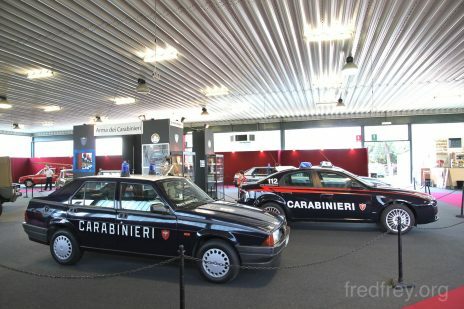 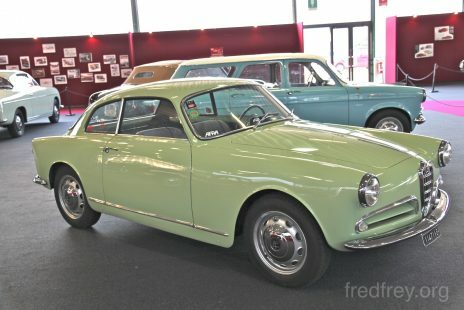 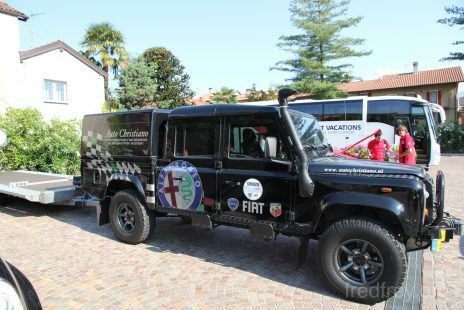 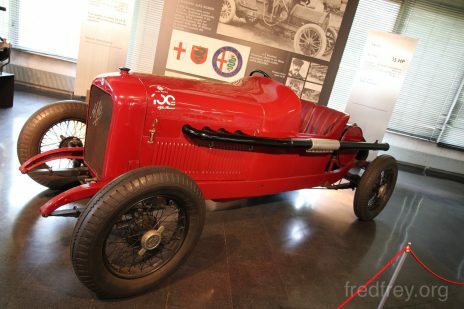 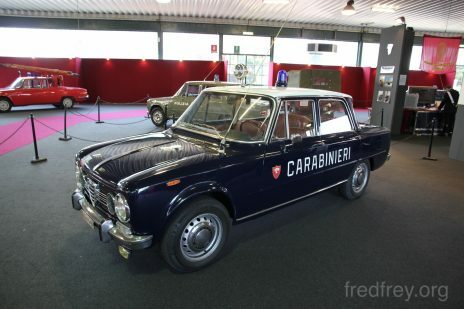 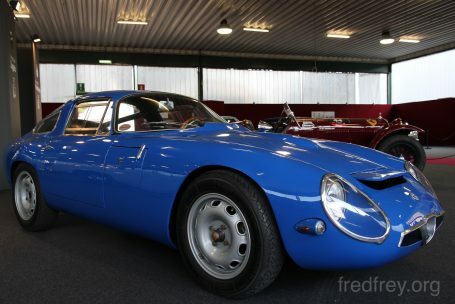 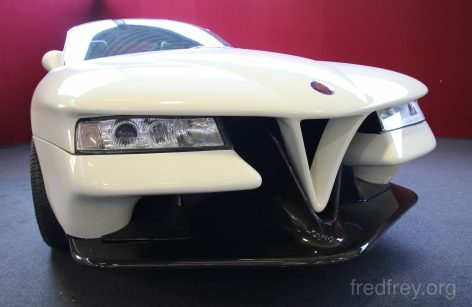 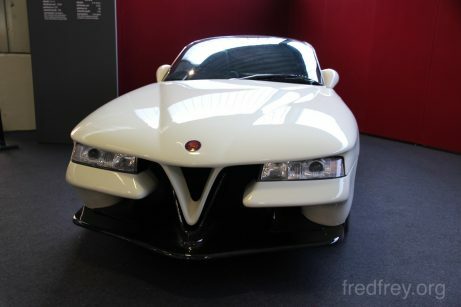 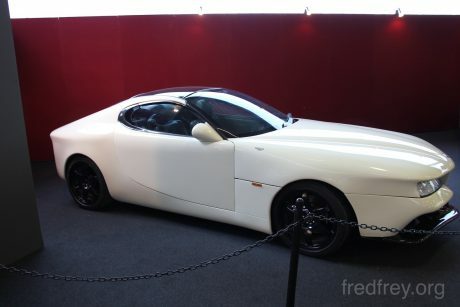 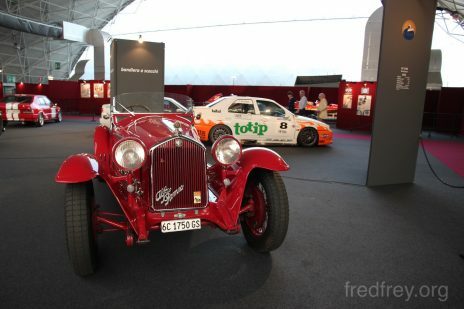 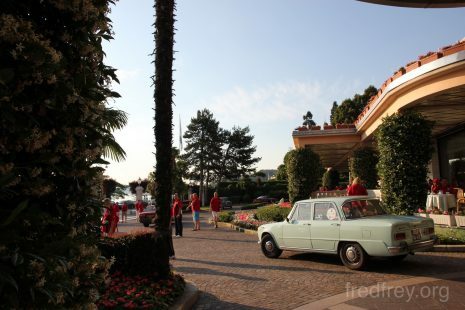 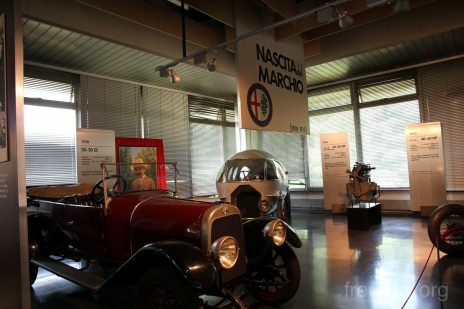 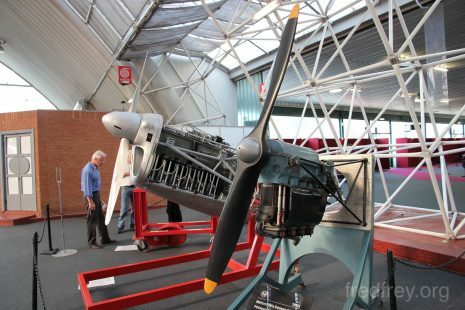 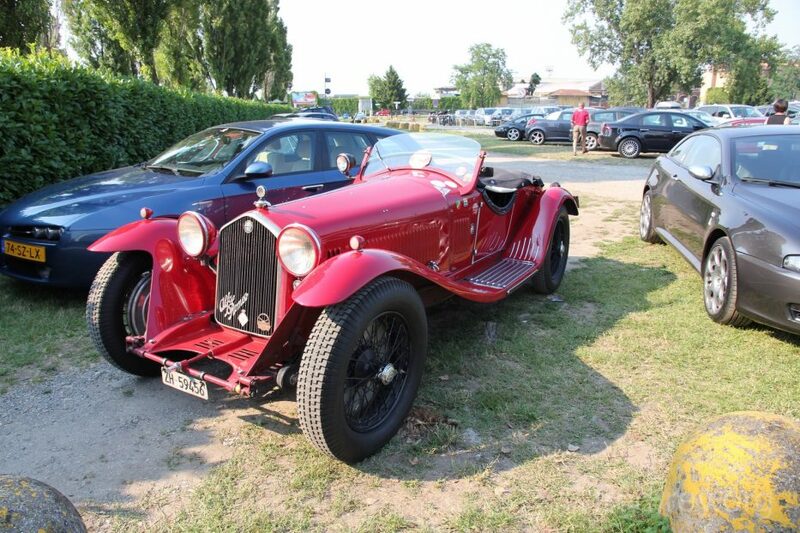 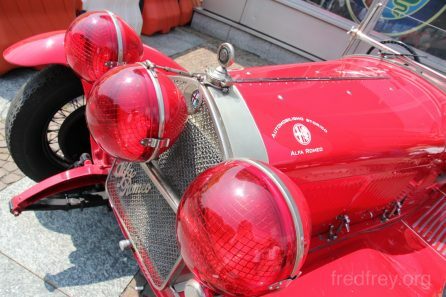 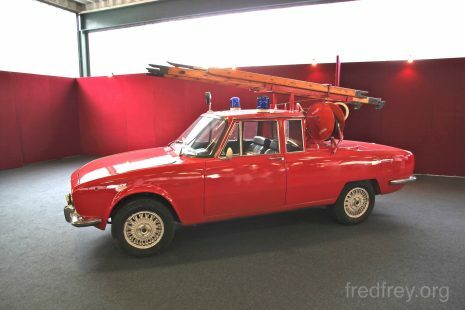 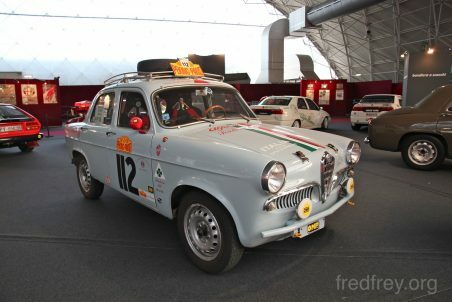 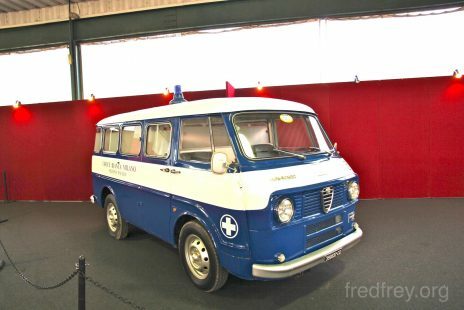 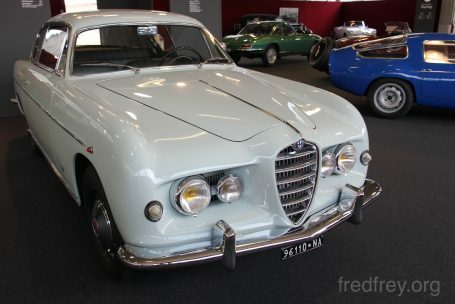 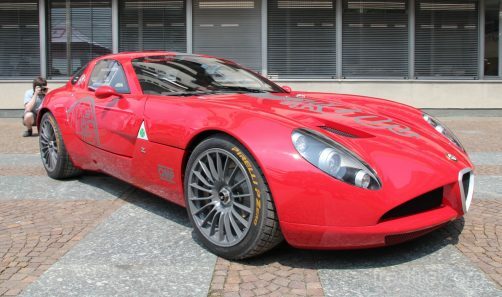 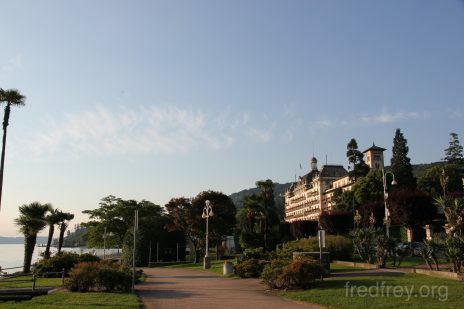 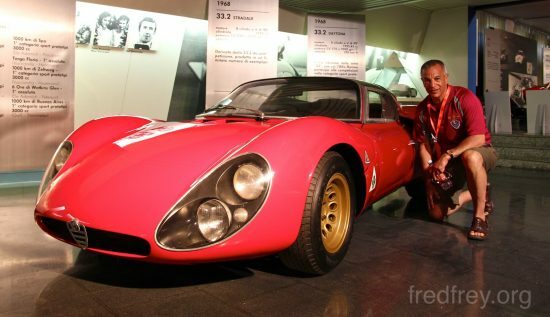 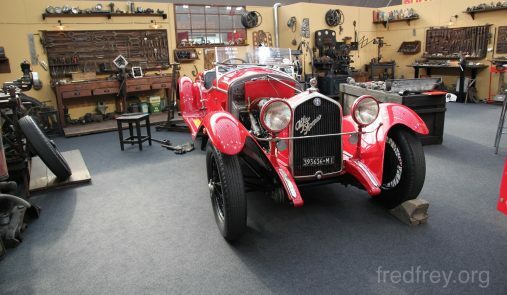 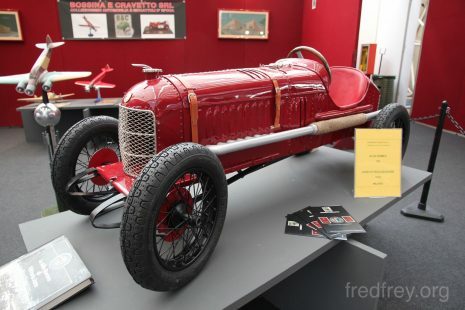 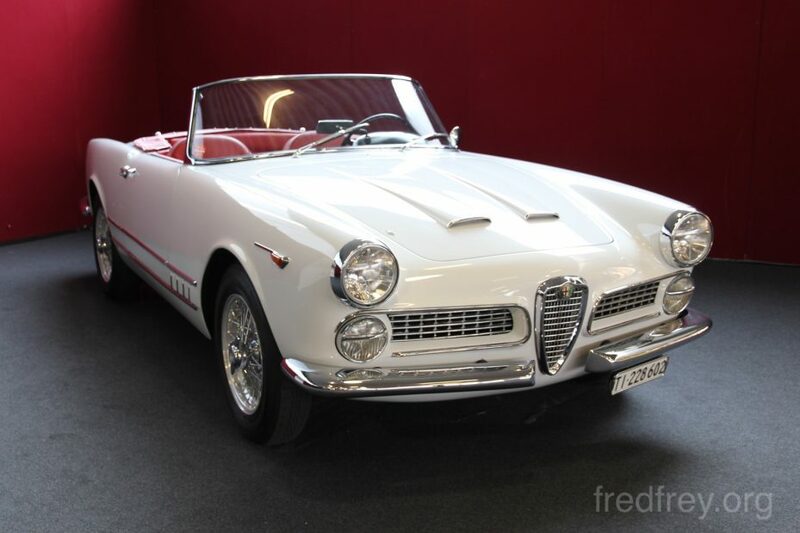 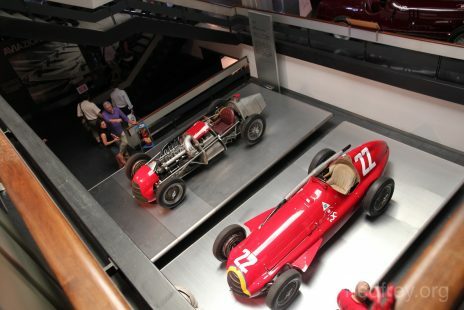 The museum is a fantastic showplace that has on display some of the most important Alfas. 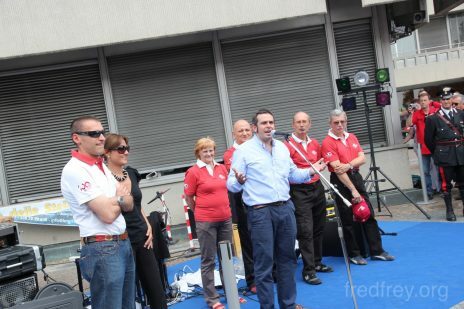 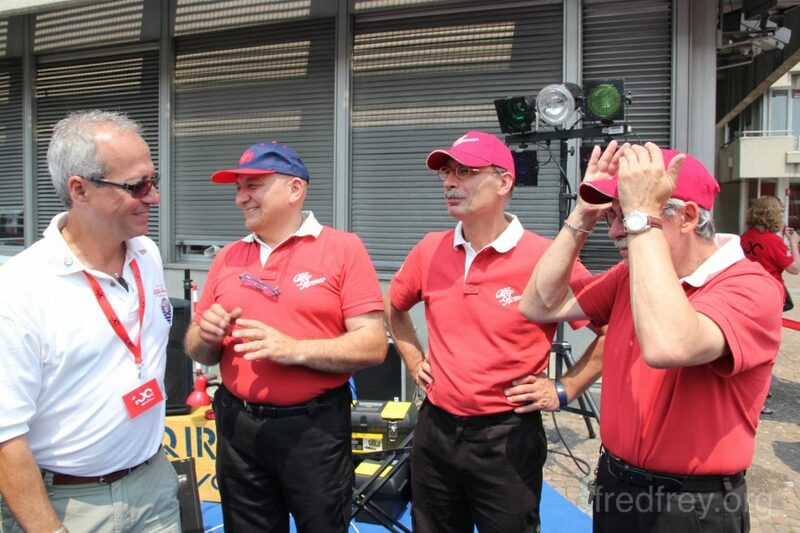 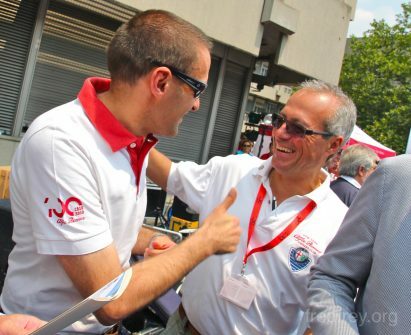 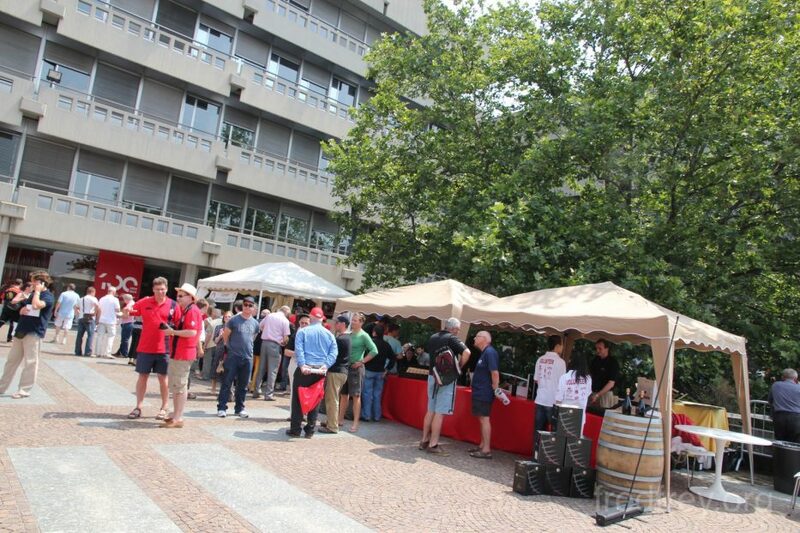 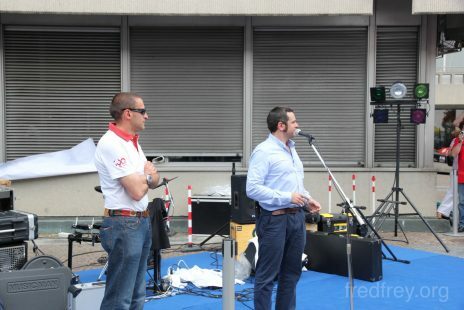 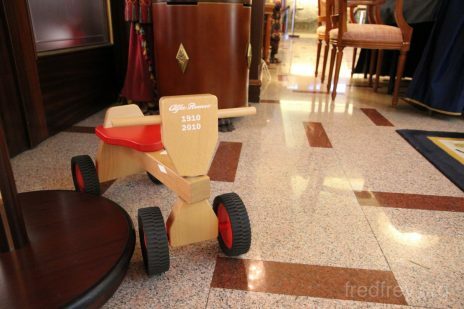 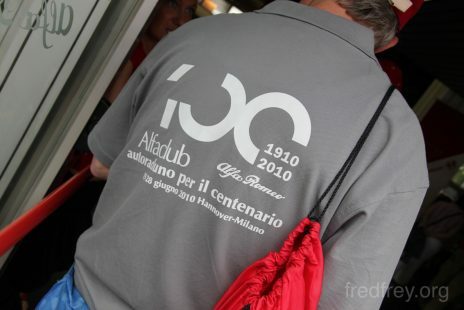 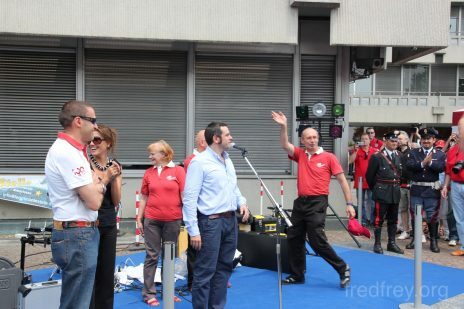 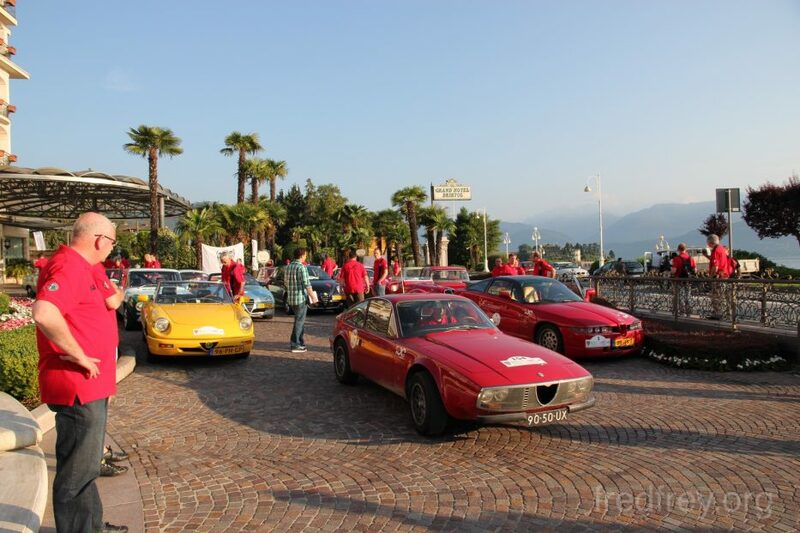 At 2pm the attendees gathered along with important personal from Alfa Romeo and former racing drivers for a toast to Alfa Romeo for at this time was the company conceived 100 years ago. 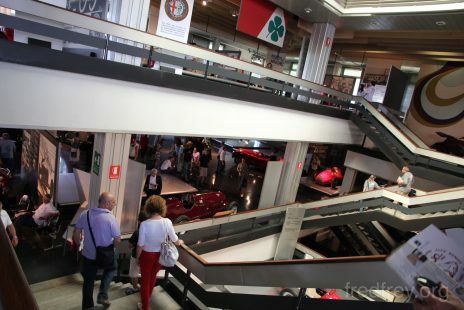 Next stop was the Alfa Romeo exhibit at Parco Esposizioni Novegro just outside of Milano. 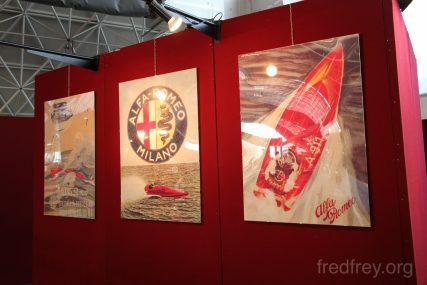 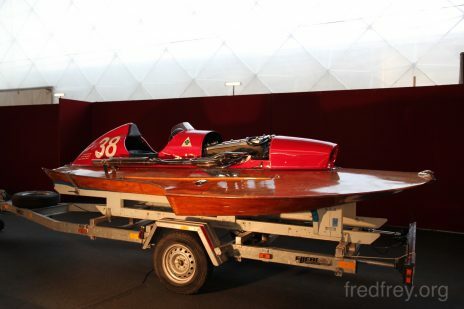 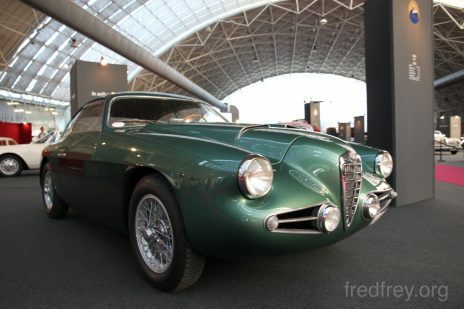 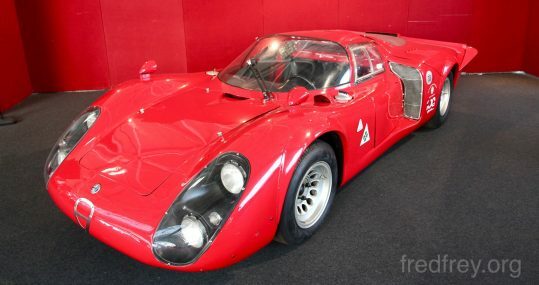 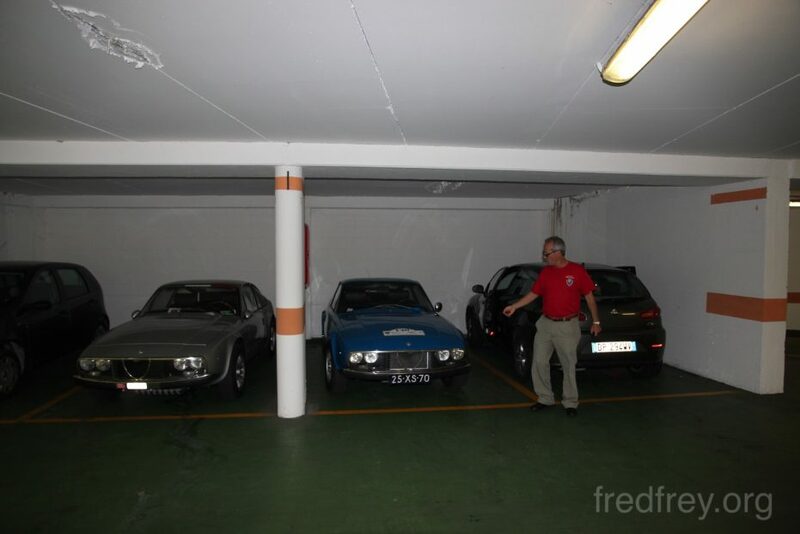 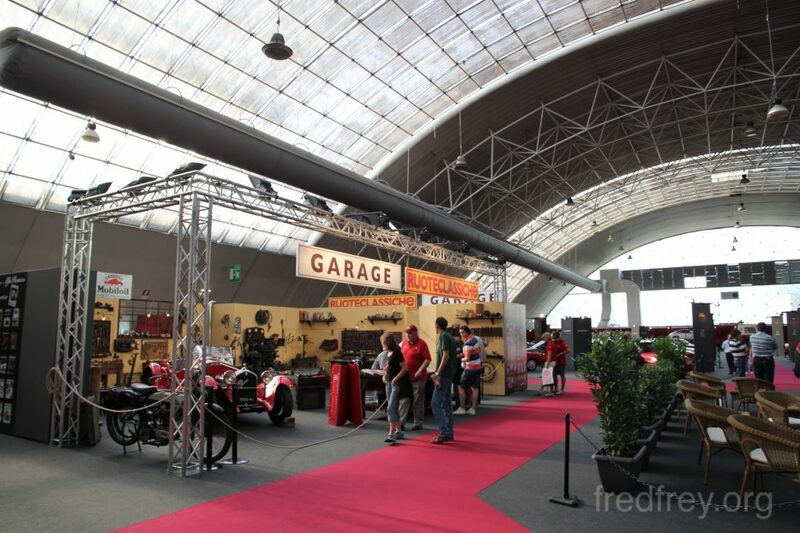 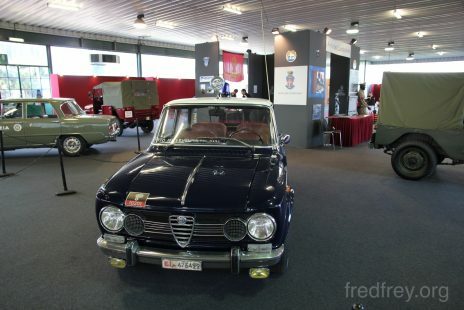 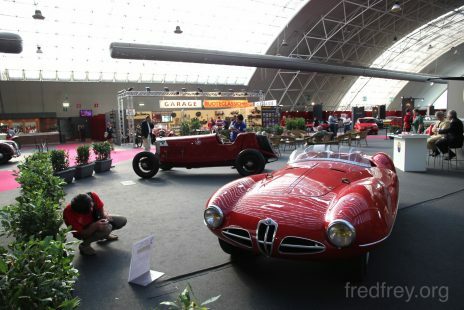 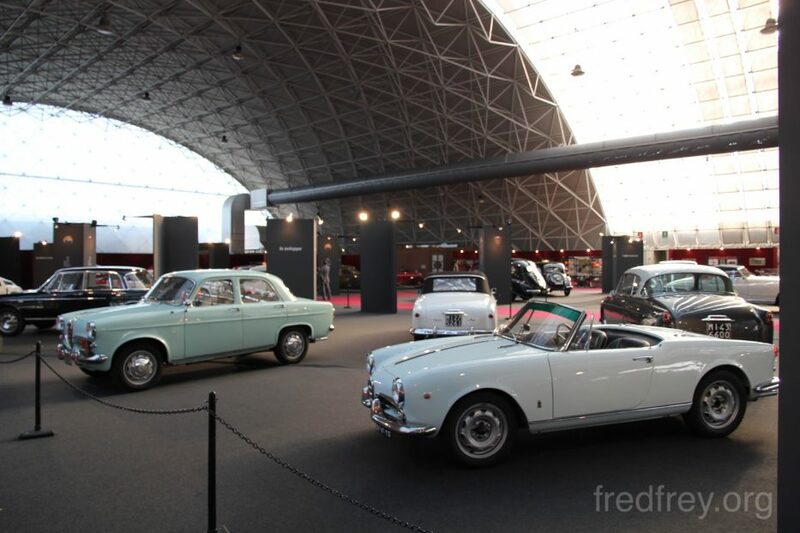 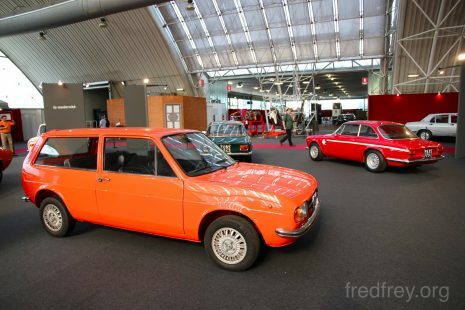 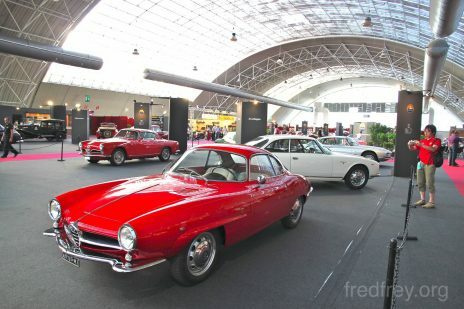 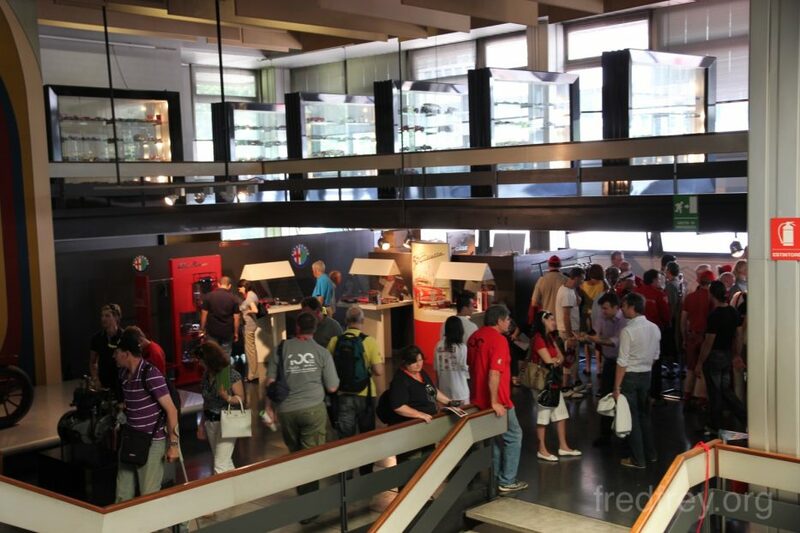 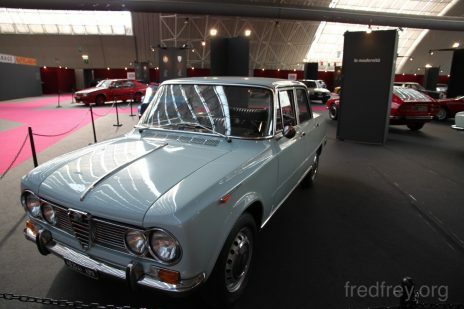 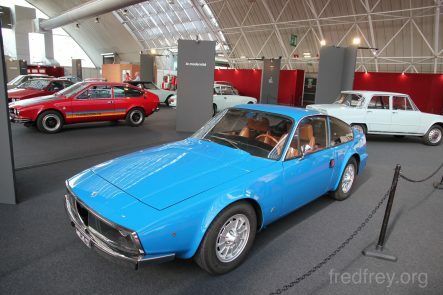 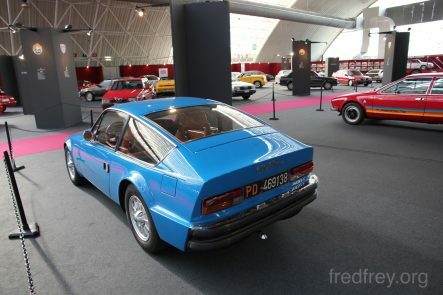 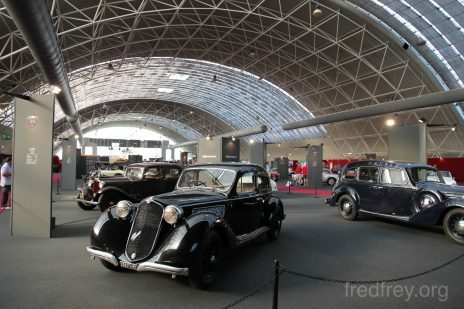 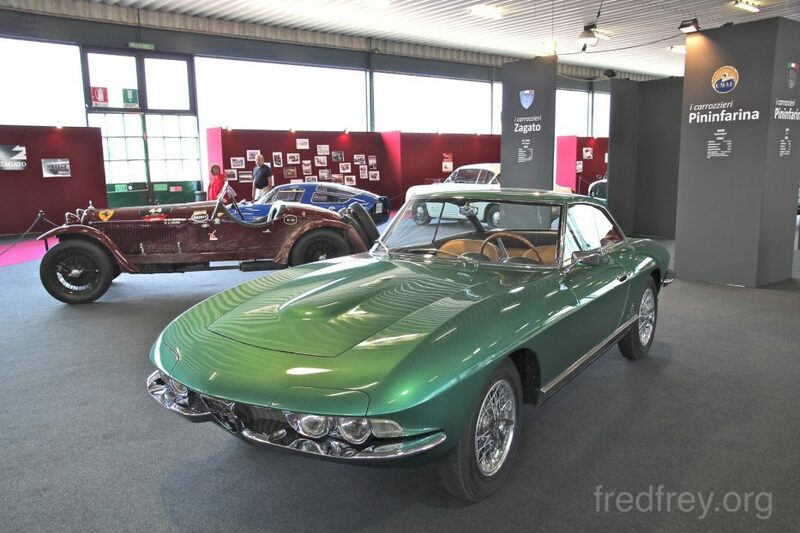 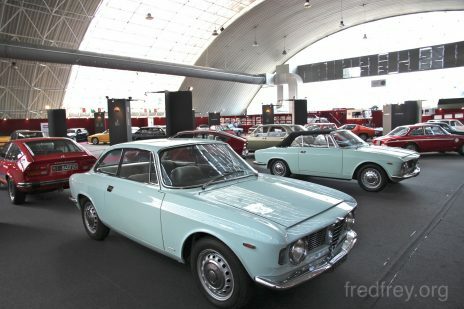 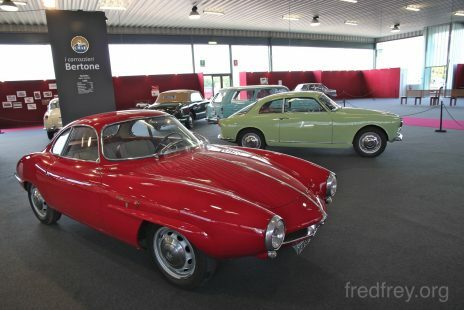 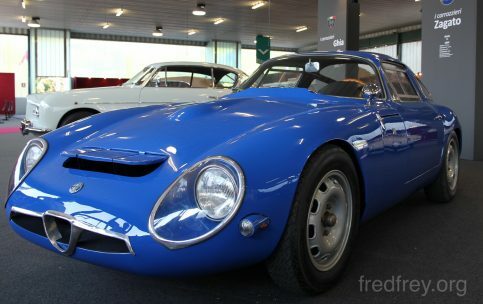 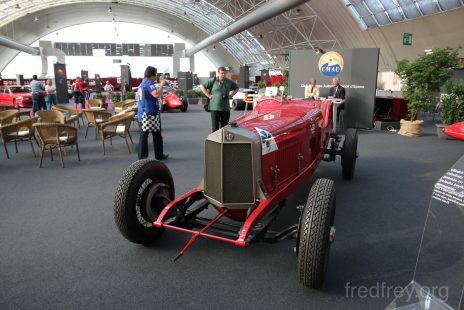 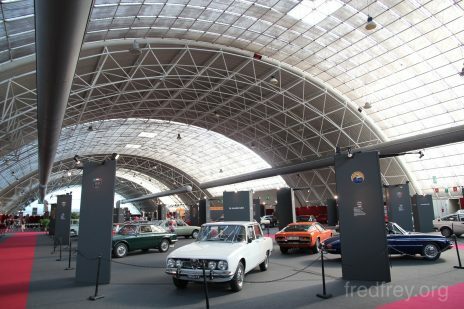 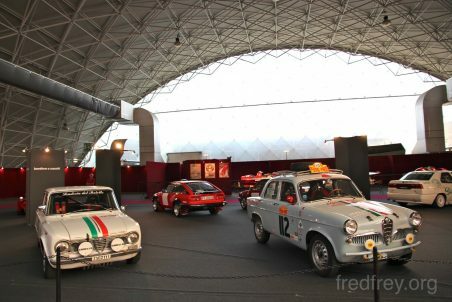 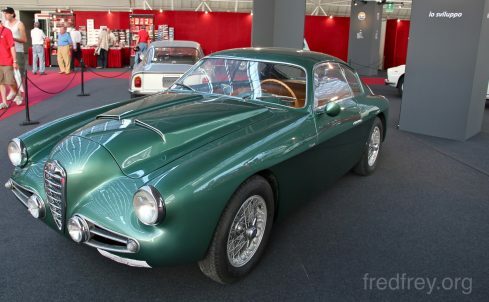 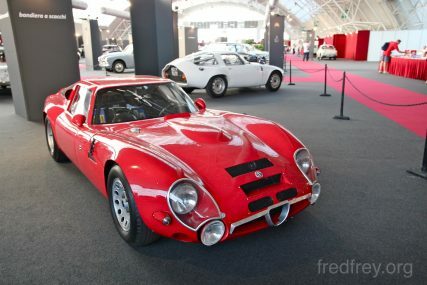 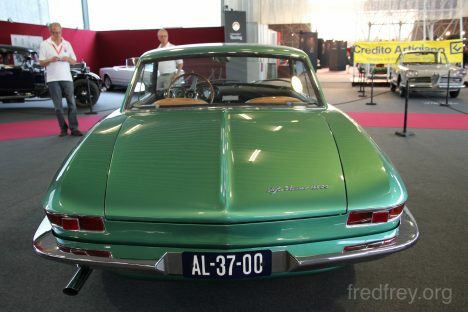 Inside this huge exhibit hall were hundreds of incredible Alfas from private collections. 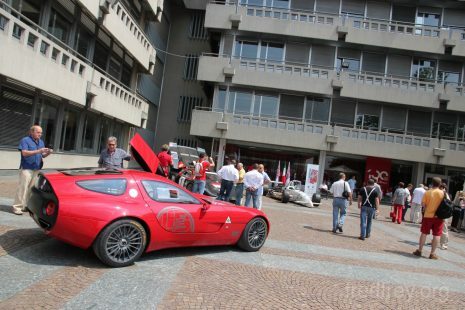 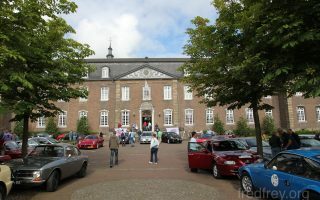 Cars from all over the world were invited to display.